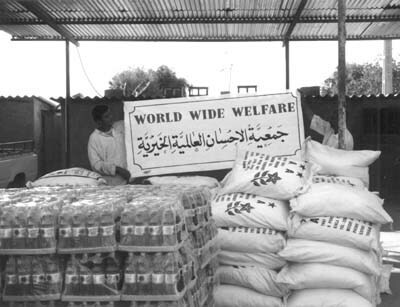 World Wide Welfare was formed in 1993 as a small charity to help the Iraqi refugees on the Iraq- Iran border and in other countries as a response to appeals from Iraqi refugees. Since then W.W.W. continued to serve the refugees and the orphans in that area and around the world by adopting several projects to help the needy and the orphans. Granted registration in England and Wales in the year 2000 under number 1079336, boosts our work, when the areas of operation extend to include other countries such as Kosovo, Afghanistan and Palestine. The dedicated work of World Wide Welfare team who are all volunteers has a real impact on the situation of the refugees, the poor and the orphans in these countries and mainly in Iraq. All the achievement and the success are due to the support of the donors. In the year 2003 World Wide Welfare moved inside Iraq to help millions of orphans and widows who are victims of wars and terror. World Wide Welfare is relying on donations from individuals and institutions around the world. We managed to provide sponsors for more than 1500 orphans and widows in different areas of Iraq. There are still a large number of orphans who need to be sponsored. World Wide Welfare is a U.K. based charity, operating on 0% administration cost; all the trustees are dedicated volunteers. The team makes regular visits to Iraq and other areas of operations to supervise the work and meet with the orphans and the needy. We work in partnership with dedicated and experienced volunteers on the ground to keep constant contact with our office in London; they brief us with the latest needs and appeals that arise on the ground whenever possible; World Wide Welfare team whether in the U.K. or on the ground are joining hands with other charities and organisations working in Iraq or other countries; working together can make a change to the better and make many children smile; our work without you is impossible.